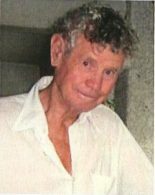 Henry passed away in Shuswap Lake General Hospital on July 26, 2016, after living many years with dementia. He was born in Victoria, BC, on June 1, 1927. Both sets of grandparents lived in Victoria and Henry’s youth was spent there and in Vancouver. He graduated in law at UBC, then articled and practiced in Vancouver during the 1950s with Douglas, Symes and Brissenden. He married Marguerite in 1951, and four children were born in that decade. The family moved to Salmon Arm in 1962, where Henry practiced law for the next 30 years until his retirement. Henry enjoyed his life in Salmon Arm, with skiing in the winter and tennis and sailing in the summer. He remained in touch with his Icelandic roots at his cabin in Point Roberts, WA. He is survived by his wife, Marguerite, sons George (Valerie), Chris (Songsak), and Frank (Carol), as well as two granddaughters, Samantha of Vancouver and Kristen of Toronto. He was predeceased by his daughter Laurie. Henry was a good man and will be missed by many.